When’s the last time you signed a contract on an actual piece of paper? Likely not lately, and likely not any time soon. Printing and manually signing pieces of paper is not only a logistical nightmare, it’s bad business in 2018. 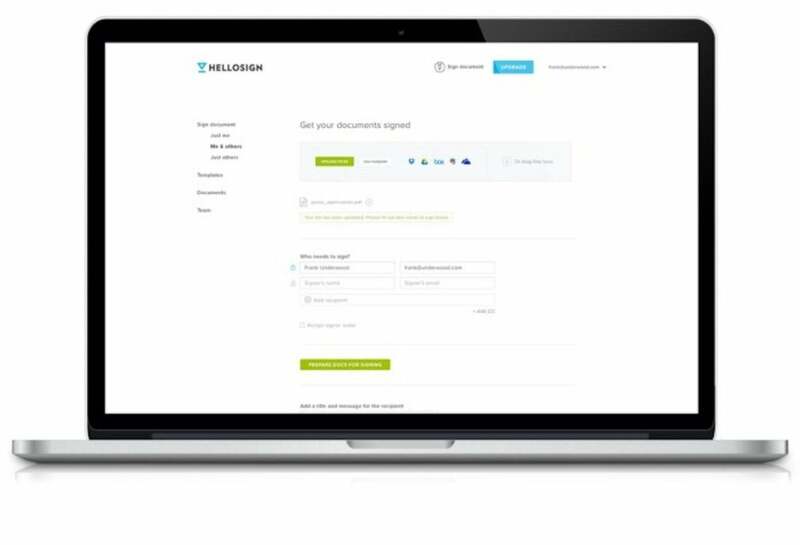 HelloSign is one of the leading companies allowing businesses and individuals to collectlegally binding e-signatures quickly and securely, and it’s making the case for eSignatures pretty darn clear. If you find change daunting, you’ll be pleasantly surprised when you navigate HelloSign’s crisp, clear user interface. It won’t frustrate you, and more importantly, it won’t frustrate your customers or employees. Right now, you can try out your first three signatures for free — no strings attached. HelloSign features robust team management tools that allow you to easily add or remove up to 20 different people and keep track of who has signed what. It even automatically delivers copies of completed documents to the appropriate inboxes, and automates signature requests with templates that you can customize with your company’s logo, tagline, and more. If someone forgets to sign an important contract, it reminds them for you. It basically takes all the administrative work out of the signature process so you can focus on your goals. Also important to note in 2018: HelloSign keeps all of your documents completely secure with SSL file encryption and an SSAE-16 certified data center.